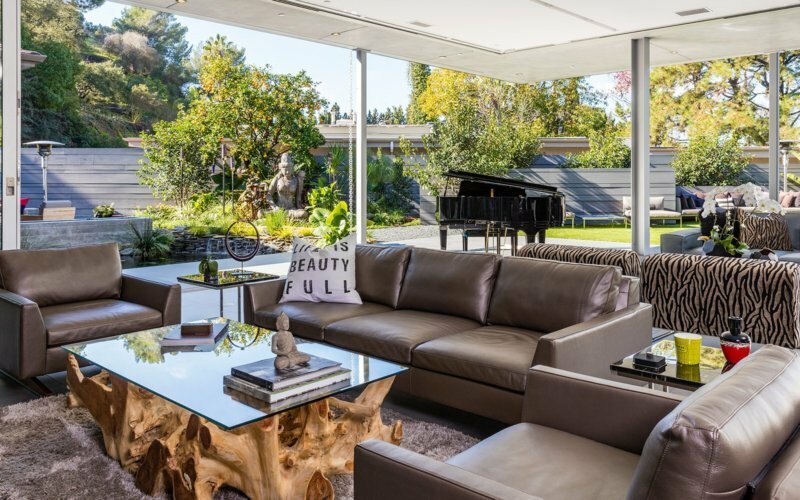 Recently, Fusion Windows and Doors was called on, to help with the furnishing of windows and door installments, for one of the most memorable properties in Trousdale Estates, Beverly Hills, California. ! 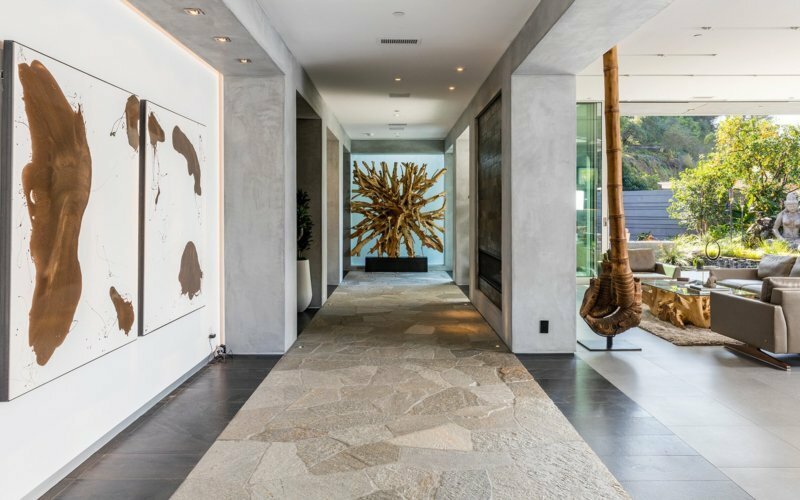 An organic, Zen inspired contemporary residence with Balinese-influenced outdoor oasis, including a zero-edge infinity pool that seems to float inside the home. A Koi pond with waterfall and fire pit can also be found in the outdoor area. 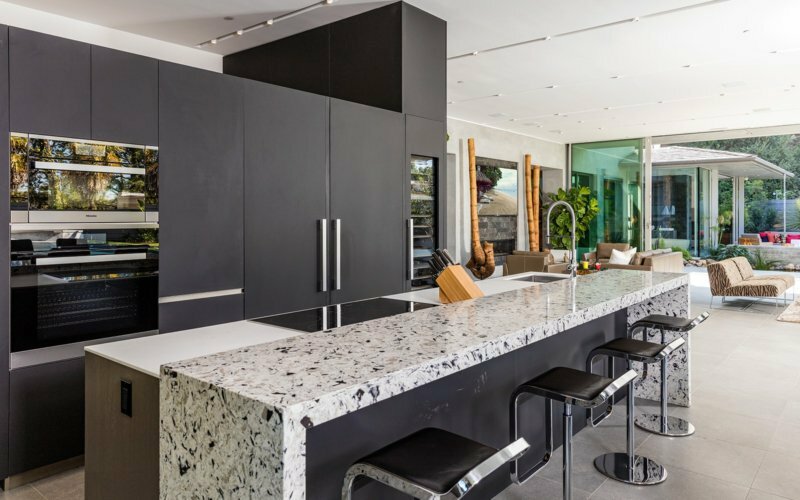 From inside, a Porcelanosa and Miele designed kitchen overlooks the outdoor living area. The master suite is accented with a wall of stone and fireplace. What did Fusion Windows and Doors brought to this project? 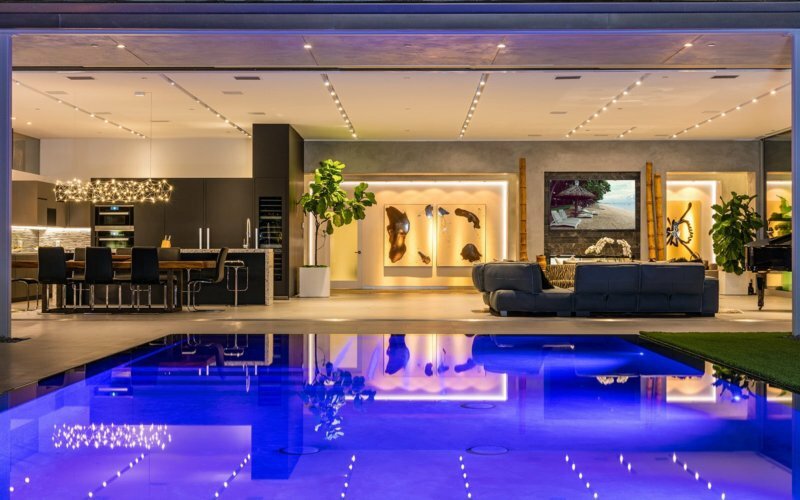 Starting with the 60′ x 40′ room and its spectacular “wall of glass” featuring a 100 feet, automated Fleetwood 3070 sliding glass doors, a big pool of natural light found its way into the home, while creating a spacious indoor/outdoor living space. Our team installed the Fleetwood 3070 multi-slide door which has 14 panels. 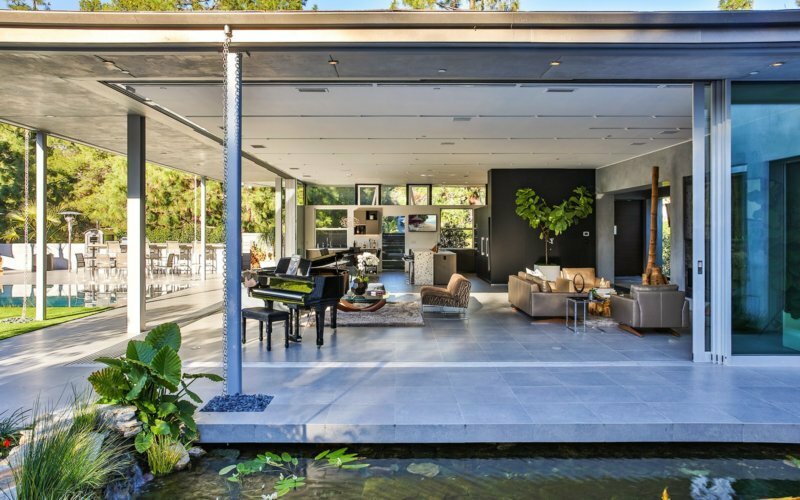 Its unique L-shape, corner-door opens, becoming one with the outdoor space. The rest of this project features Fleetwood 3070 series pocket doors. Therefore, as you open the pocket door, they tuck away, inside of the wall, making it an uninterrupted, complete open space. In the bedroom, we installed Fleetwood’s 3800 series zero post corner windows. This means that the corners are all glass, therefore, no 2×4 or other materials. For the Bathroom, Fleetwood 250 series, awning windows were used. 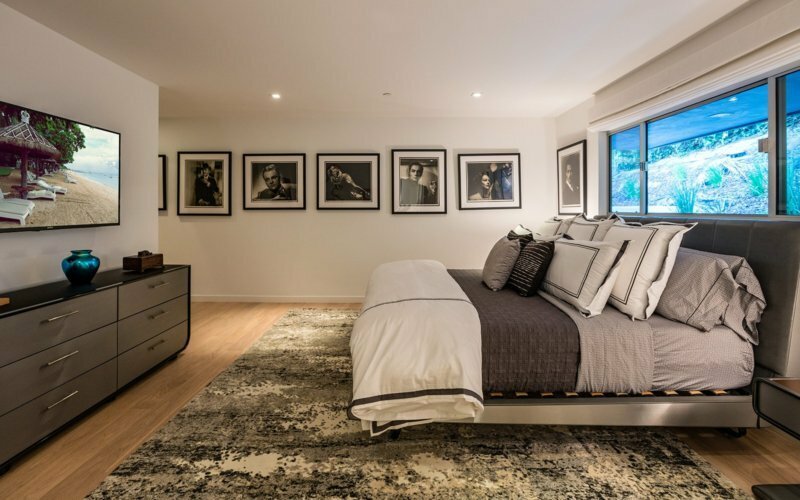 Sophistication, clean designs and modern creative minds make this home a stunner. We were very happy to contribute to its beautification. 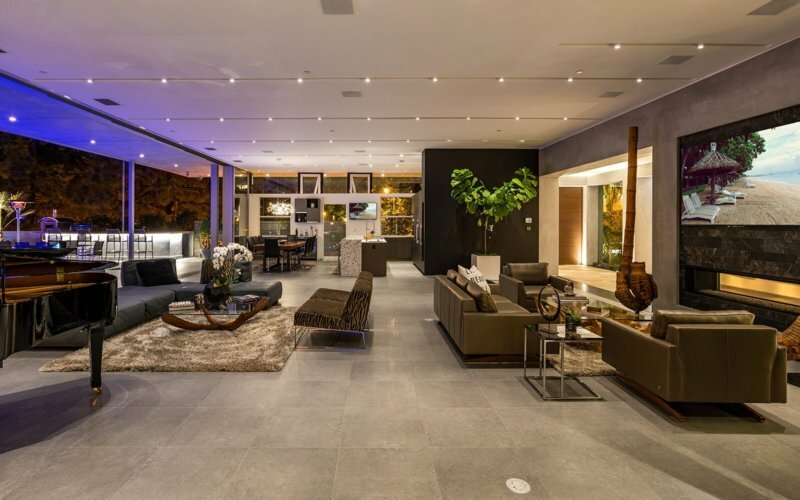 ← Come see L.A.’s best window & door showroom!